DF School and Intergenerational School. 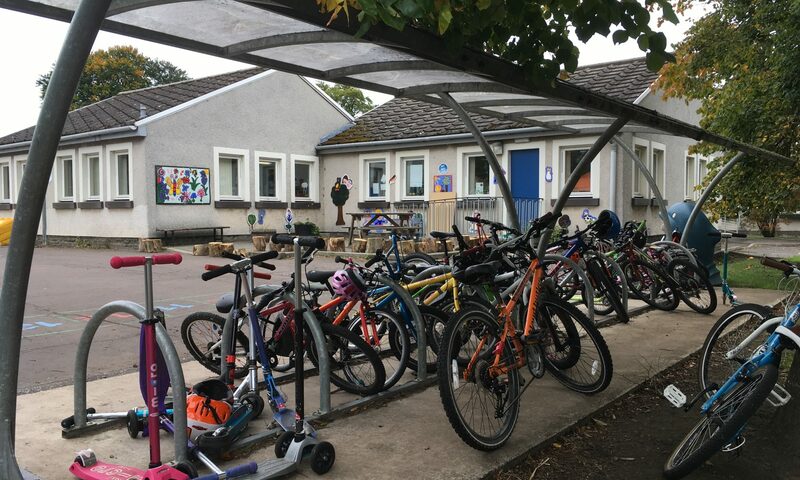 Pencaitland Primary is embracing recent research into well-being and learning, as inextricably linked, alongside intergenerational opportunities – and recognising when generations come together regularly, most benefit occurs. Closely linked, is Dementia Friendly; with interest shared both in the school and it’s wider community. If you would like to, please download the school’s Dementia Friendly bookmark. Children and adults mixing, sharing experiences and relating to each other is always worthwhile. When it is well supported, all the generations involved gain immensely. In 2017/18 school year, a clear focus for PPS will be community, taking forward ideas and work from the time of the 40th Anniversary – and Support from the Start, as well as the thoughts and interests within PPS from staff and pupils. An informal cuppa and chat has been set up for anyone from the local community to come into Pencaitland Primary on 15th June ’17 at 2pm, to share their ideas and hear about those for PPS. 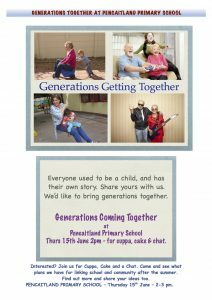 Please share this invitation to join our Head Teacher, Nicola and Principal Teacher, Emma as we launch Generations Together. To see how to help with some ideas for Generations Together and Dementia Friendly PPS see the post “Sitting getting dusty?”. (An appeal will be launched for unwanted / unused cameras and iPods / MP3 players).